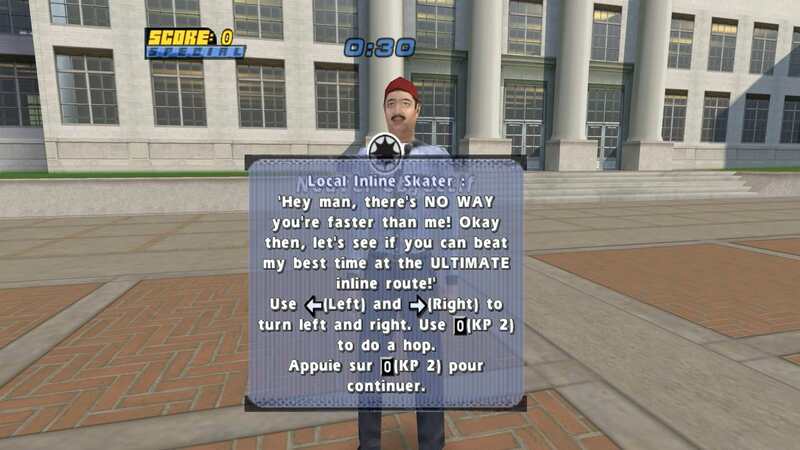 The french release of THPS4 doesn't have any no-cd hack available. The best way is to translate the US game. I saw that there were other .qb files, maybe modify them as well ? Possible, you can try, this game run in always in high fps on my side, don't play it on pc anymore. Catarax wrote: Possible, you can try, this game run in always in high fps on my side, don't play it on pc anymore. I can't try, i don't have a French copy of the game. and in total 356 with the scripts folder. and add the files directly in .rar archive, that's what i did. Ok, without your save i can't really test the missing qb, but I see what it lack, i'm gonna give you the qbs. Ok on the 158 files, only 16 are different from the US version,. It's better but there are still texts in English. Maybe there are other types of files to replace?